With workplace wellness programmes on the rise, creativity and innovation are flourishing to keep employee wellness initiatives fresh and exciting. So, what are some work site wellness trends we can expect to see implemented in the near future?. In this article, we look at the key areas predicted to shape the future direction of wellness in the workplace. We will touch on 3 areas we feel will be central to the future of wellness; technology, the role of data and the overall philosophy and approach workplace wellness is moving towards. Technology trends shape almost every outlet organisations have, including their wellness programmes. In an effort to remain competitive and current with wellness initiatives and benefits, an increase in technology’s presence in workplace site wellness is inevitable. Two prominent trends the corporate wellness world is beginning to embrace is the use of wearables and fitness trackers as well as the introduction of wellness portals as a central hub to drive engage and awareness of wellness programmes in the workplace. Fitness trackers and wearables have had a noticeable impact on workplace wellness and serve as an easy platform for employers to gather data and insights on their employees’ health. Wearables aren’t only a trend in the workplace; they have increased in popularity for personal health and productivity outside of the workplace as well of recent. It is expected employers nationwide will have incorporated more than 13 million fitness tracking devices into their wellness programs by the end of 2018. This is a promising prediction, considering evidence suggesting people tend to overestimate how much exercise they get each week by more than 50 minutes, and they underestimate sedentary time by more than two hours. Providing quantifiable data in real time can greatly help motivate and empower employees while the potential for sustainable health benefits is maximised. While wellness portals have been around for a while, updates in technology continue to improve their impact on wellness programmes. Creating easy-to-use and easy to administer portals is crucial for wellness programmes to remain current. Well-designed portals can act as a hub for work site wellness programmes and employees are more likely to become engaged in wellness when there is on demand access at their fingertips. 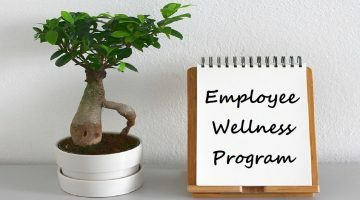 There is also a unique opportunity for wellness programmes to serve as a sort of “hub” in terms of coordinating health care and access to resources for all your employees. As more employees work remotely, keeping engagement levels high and the lines of communication open can be a challenge. However, by staying on top of tech trends such as wearables and linking technologies (like video conferencing, apps), inter-connectivity can surge. It is amazing how much data there is and how little of it is traditionally used in health & wellness, this is beginning to change. Workplace wellness is moving with the data driven age we live in, whereby being able to quantify results and qualify a direct course of action is becoming common place and proven to be highly efficient. More comprehensive wellness programmes are being built and analysed using data delivering amazing insights into the health and wellbeing of employees and organisations. Benchmarking a client against national norms and industry peers also gives an organisation drive to improve on trends. This greater use of data as a driver for workplace wellness programmes is becoming more apparent. Companies are collating both quantitative and qualitative data available from multiple sources, such as employee feedback, onsite programme delivery, online screening and surveys along with other services such as EAP and Health screens. This valuable data is being used to build tailored programmes adressing both what employees want as well as what they need which makes for a more engaging, efficient and ultimately successful wellness programme. Finally, the overarching approach to corporate wellness is shifting towards a more holistic philosophy. More and more organisations are realising corporate wellness is not simply a tick box exercise focusing on nutrition or fitness, it is becoming evident wellness is more than just physical health. Workplace wellness will start to see a shift in initiatives and goals to support total wellbeing. While total wellbeing can be harder for employers to monitor versus physical health, it is just as essential to cover in employee wellness. Total wellbeing takes into account the full spectrum of wellness, including mental, emotional and physical elements. Sleep and financial wellness for example are two areas growing rapidly in wellness circles and are predicted to gain further prominence in workplace wellness programmes in the near future. 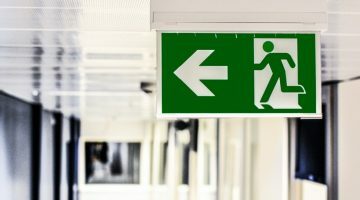 Employers are gaining greater understanding of the impact of the bigger picture and the effects these areas can have on their business. The short-term effects of which can affect productivity or mood while the long term issues can lead to exacerbating other health problems like cardiovascular disease, obesity, and depression for example. 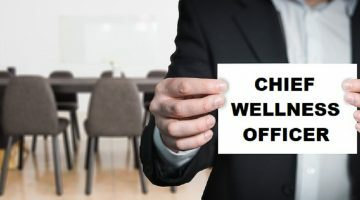 a holistic focused wellness programme can encourage healthy behaviour change in the interconnected areas linking them to the bigger picture and this is reflected in the total wellbeing shift workplace wellness programmes are moving towards. it is apparent corporate wellness programmes have evolved greatly in recent years. And with the growing popularity and need for wellness programmes, it’s safe to say that workplace wellness programmes are no longer seen as just a “fad”. 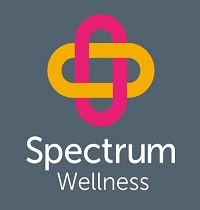 The number of organisations with wellness programmes is predicted to keep rising, and with this increase in demand coupled with the ever constant research and development in the area, the production and implementation of more innovative wellness solutions is certainly expected to continue.